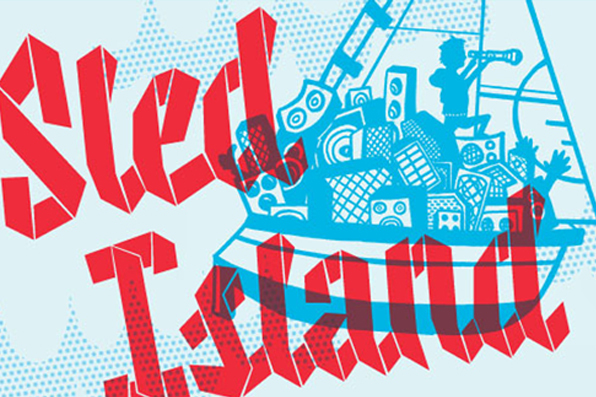 First, a disclaimer: I’m the kind of guy who’ll typically tell you that only paying attention to the headliners at a festival like Sled Island is missing the point. With less than a handful of exceptions, all of my favourite experiences at the fest have been bands on the undercard, ones I hadn’t heard more than a quick sample of before walking in the door. As a few people pointed out at the press conference, the magic of this kind of fest is people ripping around town on bikes trying to take in as much as possible, and searching for those hidden treasures (and then bugging everyone to catch that band they never heard of later in the week). That said, there’s no question that it’s the marquee names that catch most people’s eye, and there have been plenty of mind-blowing shows on that front over the years (The Boredoms, anyone? My God…). And I’ve gotta admit, the announcement today is looking pretty damned impressive. So, without further ado, here’s all eight bands the fest announced, and (extremely briefly) why you probably want to check them out. First off, she’s the hometown girl made good. Second, her new album, Metals, is actually pretty great, and strays a bit from what she’s been doing on the last few albums. And third, she’s a phenomenal live performer. But I have a feeling you don’t need me to justify this one. Often described as “the world’s best bar band,” and with good reason. It takes real talent to sing about girls and drinking and drugs, and have it come across as something genuinely exciting. Craig Finn spins stories like nobody’s business (there’s a reason he’s buddies with John Darnielle and John K. Samson), and his increasing maturity has only made the songs more poignant. Plus, last time I saw them, the only word to describe the atmosphere was “brodeo”, in the best possible way. I may be a minority here, but I honestly believe Malkmus’ solo work is more consistent, more interesting and more entertaining than the majority of what he did with Pavement. Expect wonky guitar solos, stream-of-consciousness lyrics and unexpected hooks. This one’ll be fun. This one’s probably the least familiar to most people, but trust me, it’ll be worth it. Weirdo electro pop from Montreal that was good enough to get signed to 4AD, who have a solid history working with weirdos. The word is she’ll be playing in a tiny venue, so all the more reason to see her now before she gets huge. Speaking of weirdo… “Freak folk” doesn’t get used as a term too often anymore, but it’s probably more appropriate for a guy who favours playing in a beekeeper mask than for most of the folks it’s been tagged on in the past. With vocals like a less flamboyant Antony (or the lower register of Kris Ellestad) and lyrics that’ll give you the willies, this’ll be one of the more atmospheric headliner slots. Sonic Youth. Do I need to say more? This one’s essential. Part motivational speaker. Part classically trained pianist. Part conspiracy theory. Add it together, and you get pretty much the ultimate party. He’s played the fest before, and he’s curating it now. So good you’ll get a nosebleed from the awesome. This is the one I’m most excited about, I think. These guys defined the more aggressive side of indie rock in the ’90s, and Eric Bachmann’s gone on to do some great stuff both solo and with Crooked Fingers. But the magic of the first band’s hard to top, and this one’s bound to be one of the fest’s best nostalgia moments. Can’t wait to see who else’ll be playing.